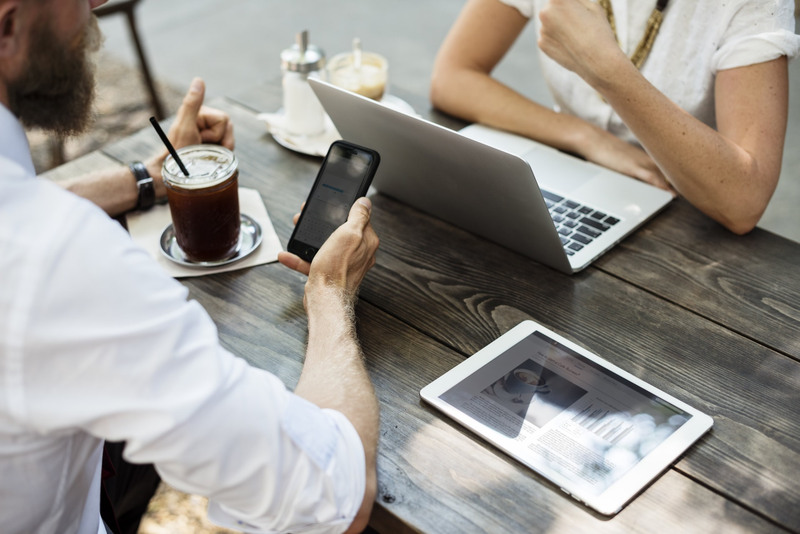 How to validate an entered text to a min date in a kendo datepicker in AngularJS. 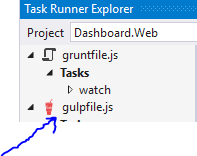 The Task Runner Explorer extension for Microsoft Visual Studio 2013 found the gulpfile.js in my project, but the task in that file where not listed, just beneath the gulpfile.js, (No tasks found) was displayed, this was caused by missing dependencies. 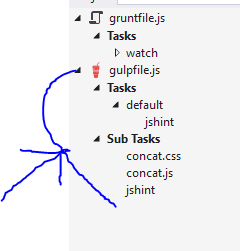 Just open a command prompt. 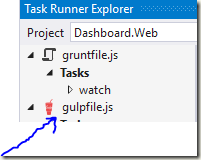 All dependency for gulp should be installed, now when you op the project in Visual Studio 2013 the tasks should be shown. 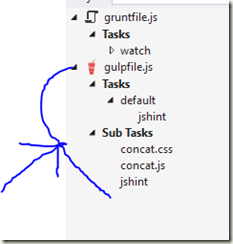 Nowadays you can just right click package.json and choose Restore. Thanks! Worked perfectly. Looked everywhere for a solution to this.